Hi friends, Hope you had an awesome week and are all ready for Easter! And guess what?! I’m officially an ipster!!! !I finally gave ipsy Glam Bad a try after so much thoughts (well not really!) and the bag is here. I received it a week ago and thought I would share with you what I got in my March 2016 ipsy Glam Bag. Disclaimer: this post contains referral link If you haven’t heard of ipsy…Ipsy is a subscription company co-founded by Youtube superstar Michelle Phan. The company focuses on cosmetics samples. So basically when you subscribe to their service, they will send you a Glam Bag with 4-5 deluxe-sized samples or full-sized products, in a very pretty pouch, for $10 per month. You can visit the website through my referral link HERE. 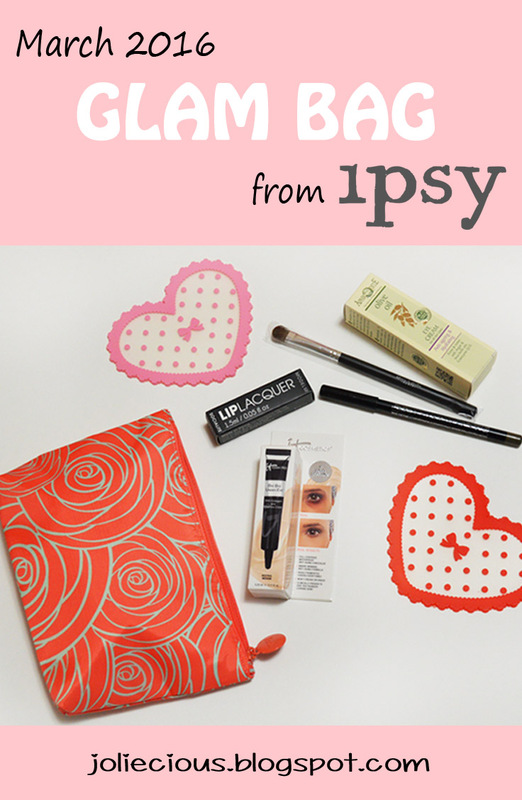 Alrighty…Let’s take a look at my March 2016 Glam Bag from ipsy! First is the 0.05 fl oz sample of ModelCo LIP LACQUER Lip Gloss. There are two different shades, Socialite or Morocco, available this month and mine is in the shade Socialite. I’m not a gloss girl because I don’t like the sticky feeling. 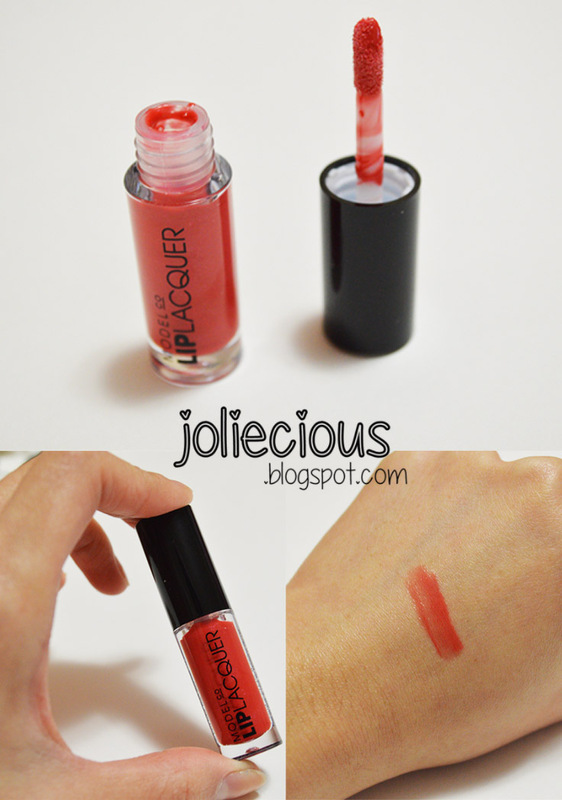 However, this gloss is non-sticky and it glides on very smoothly. Hence, the color is very pretty. I didn’t own any color like this before so I’m very excited about this product. It is said to be long-lasting but I still need to re-apply throughout the day. One more thing I love is the size. It’s very convenient to just throw in my purse. Next in my Glam Bag is Replenishing Eye Cream from Aphrodite Skin Care (sample-sized of 0.34 fl oz). I’ve never heard of this brand before so it’s a new product to me. The eye cream is 96.3% natural content with organic olive oil. On the box, it is said to “firm and tones with Argan and Inca Inchi oils, Coenzyme Q10”. I haven’t tried this yet but, for an eye cream, this is a great size. It will definitely last me a while. I can’t wait to try this as I’m running out of my current eye cream. This is what I’m most thrilled to received: the Bye Bye Under Eye® Anti-Aging Concealer from IT Cosmetics.When I saw this one listed in March 2016 list, I prayed it would be included in my Glam Bag and it was! I’ve heard so many good reviews about this concealer from bloggers and Youtubers. I got a 0.11 fl oz sample-sized in Neutral Medium. Of course, I had to try it right away and it works perfectly. Now I understand why the IT Cosmetics concealer receives so much love. It covers my dark under-eye area wonderfully: very pigmented but not cakey at all. Plus, it contains anti-aging treatment. So what could you possibly complain about?